We all want radiant skin, but maintaining a picture-perfect complexion often seems like an impossible task. While our dermatologists and aestheticians can give us tailored skincare advice, we can't consult them every day — which means our home skincare routines involve a lot of trial and error. But what if you could check in with a professional every day to evaluate your skincare routine? That's the promise of the new Foreo Luna Fofo, a smart facial cleansing brush. You may already be familiar with the Luna lineup of sonic face brushes, which gently pulse against your skin to clean and exfoliate. (Foreo also makes blue light pens for treating acne). The face brushes are waterproof (so you can take them into the shower or drop them in the sink without trouble) and have hundreds of uses before they need to recharge. The Fofo takes that basic Luna brush design and adds skin sensors that gauge moisture levels and skin age to tell you just what your skin needs. Unlike a visit to the dermatologist, getting advice from the Luna Fofo is a quick process. 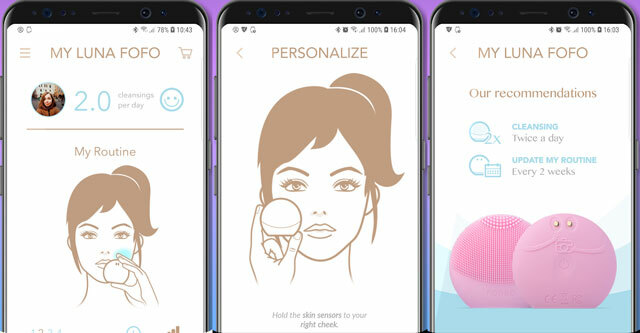 All you have to do is pair your Fofo with the Foreo for You mobile app (for Android and iPhone), fill out some basic skin info, and hold the sensors to your face when prompted. The app analyzes your data to create a cleaning routine tailored for you, with pulse power and duration customized for your skin. When it's time to clean, apply your favorite cleanser to your face, moisten the Fofo, turn it on and gently brush it in circular motions across your skin. It will already know your personalized cleaning program, and it will briefly stop pulsing to tell you when its time to move on to the next portion of your face. After 60 seconds, you're done: rinse and dry your face, then apply any other beauty products. You can re-evaluate your routine as often as you'd like, but Foreo recommends checking your skin every two weeks to keep your cleaning routine in-tune with your skin's needs. 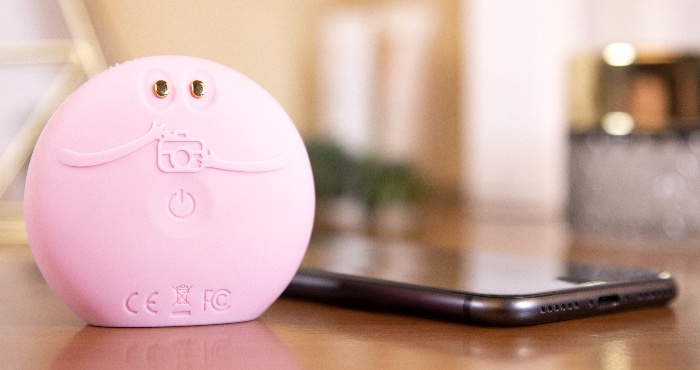 If you want to give Fofo a try, it's available now for $89 from Foreo.